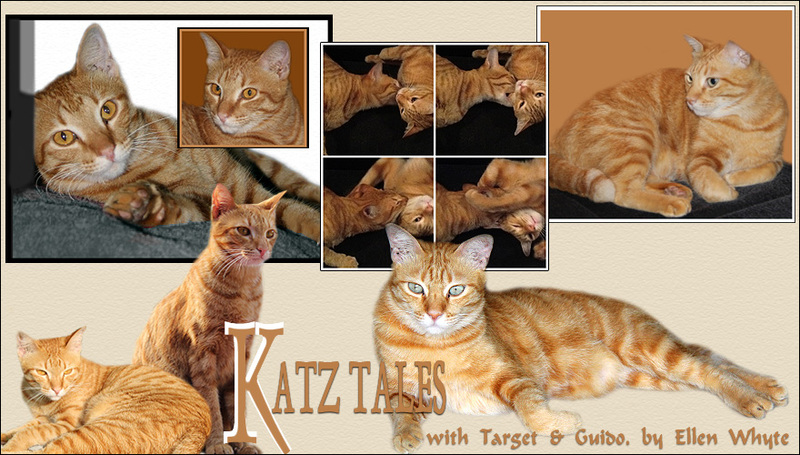 This post was first put up on 5th January 2007 and features our old cat Scoop who passed away 3 years ago. You know those thick woven cotton doormats made that are sold for next to nothing in supermarkets and hardware shops? Scoop thinks they are the ideal snoozing mat. I bought one to put in front of the bathroom door, but after tripping over old fuzzy three times a day, I moved it to the outside bench where Scoop likes to snooze in the afternoons. It was such a hit that I've placed a second one in the empty drawer in the utility cupboard Scoop likes to retire too every now and again. If you've got an old kitty whose bones need a bit of extra comfort, go nuts and buy a few of these mats. You'll get a Meow! of approval! Love the idea of the mat in the drawer. That is a great idea! Scoop looks like he was a real sweetie. Awww Scoop crossed the bridge around the time my Bobo did. Your Scoop was a real cutie! The mat in the drawer is a good idea. Scoop looked very comfy there. It looks like Scoop really liked it! Can't figure out what they are but it looks like your kitty thinks it's the cat's meow. I'm forwarding this to my Mama. purrrr....meow! My Rowdies love these, but the boys get competitive and one pees on a rug so the other can't have it and it drives me crazy. I have warned them that if they don't knock it off, I am replacing all their rag rugs with rubber coil mats! Scoop had such a fabulous idea, I think I should try someday the drawer here. That Scoop was one smart fella! Nothing better than a comfy place to rest!